Who needs a new shirt???? Well......I have just created a new design exclusively for Cosmo's Vegan Shoppe! 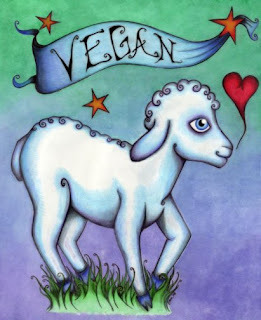 It is a super cute little lamb showing some love for vegans. So head over to Cosmo's and show your support and pick up some Cheezly while your at it!